You never realize how much stuff you accumulate until it’s moving day. Heavy furniture, bulky areas rugs, the cat palace, and boxes upon boxes of clothes, dishes, electronics, and stuff you don’t even remember buying. When it’s time to move it all to your new Austin home, the first question on your mind is probably “how on earth am I going to move all this by myself?” While most of you likely call in the troops at this point, bringing every available family member and friend to come by and help, ask yourself if you’d let any of them bring in the eggs. If the answer is no, then you definitely want to call in a different set of troops. At M&M Super Moving, we offer professional moving services to the Austin area to help your big day go as smoothly as possible. Our team is far more than hired muscle. We understand the ins and outs of moving, have years of experience moving difficult pieces such as pool tables and pianos, and most importantly, we are precise. Your possessions are valuable to us, and our commitment to you is to ensure they arrive at your new home or office in exactly the same condition. If you are overwhelmed by your upcoming move, trying to keep track of everything, and concerned that you’ll miss something, the M&M Super Moving team can help you manage every aspect of your concerns, from helping you pack up your belongings, to unpacking in your brand new place. Our experts will ensure your move is a positive experience, incident free, so you can simply enjoy your new space and all the possibilities your new life holds. Moving can be a huge hassle, but it doesn’t have to be. 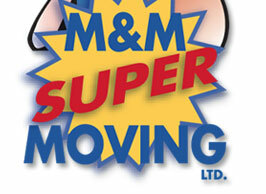 Call the experts at M&M Super Moving today, and see how our experts can help you move quickly and professionally.